I received this award from Gera of “Sweets Foods”. Thank you so much Gera for the recognition, I really appreciate it. 1. I am originally from Medellín, Colombia, but I live in the USA now. 2. I absolutely love cooking, but I am not a professional. My background is in Hotel/Tourism management and Marketing. 4. I love coffee and avocados. 5. I hate cleaning, but I am very neat and organized. 6. Creating this blog is one of the best decisions I’ve ever made as it allows me to connect with people that feel the same way about food as I do resulting in some great foodie friends. Most importantly, this blog allows me to share Colombian cuisine and culture with the rest of the world. 7. I recently became an American citizen. I think every food blogger out there deserves this award because I know the work involved, but unfortunately I can choose only 7 blogs. Wow, so many things to congratulate you, first on the well earned blogging award – ever since I discovered your blog, I have had so much fun checking it out! Second, on gaining an American citizenship. Both of my SILs are not US citizens by birth and I know the struggles they had to go through with visa, etc. So big congrats there!. 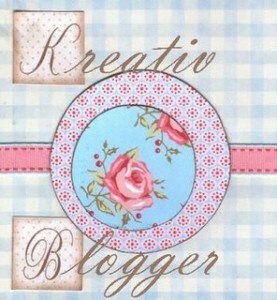 Thanks so much for sharing a bit about yourself, I love to learn more about my virtual blogging friends. Thank you so much for visiting my blog and taking time to read my posts! I really appreciate all your comments. Congratulations on your well-deserved award! Ever since my husband spent time travelling in South America (primarily Brazil and Peru), we have both become so fascinated by the region and learning about the uniqueness of each country. Your blog is a wonderful resource for us to learn about a culture and cuisine that really hasn’t received the attention it deserves here in US. So many thanks to you for your ‘Kreativ’ work! Congrats on your well deserved award! Congrats to the others too! Thank you so much Erica! I’ll do my best to pass this on! Congrats on your award, you definitely have a great blog here!! I love to see all the different and unique dishes. And, I couldn’t agree more with you about blogging. Through blogging I have finally met people who are as passionate about food as I am. It’s so much fun. Erica, congrats on the award! You deserve it! Thank you everyone again for the lovely comments! Yay! Thanks so much Erica!! So honored to get this award from you. Keep up the great work – I really enjoy reading your blog and learning about wonderful Colombian recipes. It was a pleasure Erica to give you the Kreativ Blogger Award!! I enjoy a lot to explore Latin American Cuisines and specially the so rich Colombian one! Erica, I need to tell you that I fixed the Colombian Albondigas last night and they were a hit with all my guests…They are asking me what I intend to cook next week. We have a group of friends ( all Gringos) who get together every week and I have been introducing them to Comlombian Food…so far their favorites have been the Ajiaco and your recipe for Albondigas. By the Way, I read your post about Triguisar and was curious where can I get it?….There is not a website and when I Google it, there is no info on product or company. Keep up the good work Erica!!!! Jorge- I found triguisar at a Latin market.